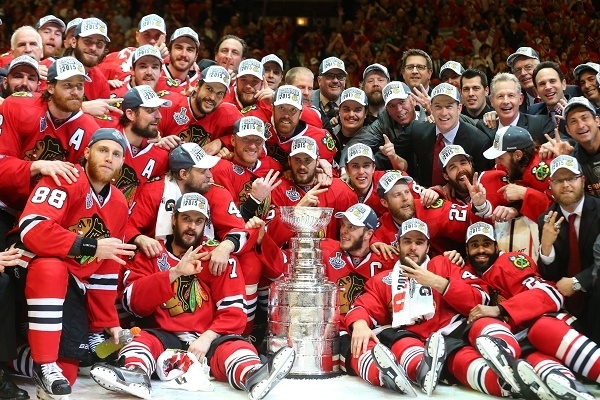 Chicago Blackhawks won the 2015 Stanley Cup in June 2015 at their home at the United Center under five previous banners hanging on rafters over their heads. The win is the sixth for Blackhawks and third time within last six seasons. They won it in 2010 and 2013. Those banners were honoring legendary Glenn Hall, Keith Magnuson, Denis Savard, Tony Esposito, Pierre Pilote, Bobby Hull, and Stan Mikita. It took six games for them to win the Cup in best of seven series (4-2). During the winning game, Corey Crawford managed to save 25 attempts. Duncan Keith, the two-time Norris Trophy winner started with his goal and Patrick Kane added another while assisting for another. Lightning didn’t make the game easier for Blackhawks either. As a result, Hawks had to work every inch of the ice. Keith won the Conn Smythe Trophy as the most valuable player of the postseason games. Fans sang the national anthem while all players hoisted the Cup one by one. It is first time winning the Cup at home and it made much more memorable for players as well as fans. More than 22,000 fans attended the winning game. 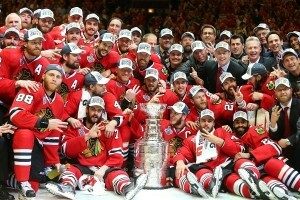 Winning the Cup three times within six seasons make it more special for everyone.